2. Or this bowl of wobbly yellow jelly dessert worthy of shedding a tear or two for. Seriously. Read on and find out why was I jumping (literally!) at the immediate opportunity of visiting this new shop early this morning; albeit knowing so little about their business hours, or whether they’re even opened for breakfast …..
Before I elaborate on the story for the day, hands up who’s from Pasir Puteh or Pasir Pinji area. Okay, a handful of you I’m sure. Now … who was a student at SMK Jalan Pasir Putih (the secondary school at the junction of Jalan Pasir Puteh and Jalan King) before? If you’re smiling now, and seeing where this review is going …. I can relate to that sudden jolt of excitement. 🙂 I had the same rush of adrenaline once discovering that this legendary stall (>38 years opposite of the school, next to the Pasir Puteh wet market) reopened for business after a hiatus of 4 years. This stall was never known by its name. If there WAS one. Or if it ever needed one in the first place. Parked in an open space between a row of shops (beside the famous Seng Cheong grocery shop), shaded by trees and mere zinc roofs, it was not uncommon to find school students loitering around that place after school hours. I was one of them too. And boy, now doesn’t that just bring back good old memories! Now going slightly upmarket, the Wan Tau Long jelly comes with a variety of optional ingredients; lime, asam, coconut water, and even with options of additional chewy beads of ‘sek lau zhi’. Priced from RM2.50 – RM3.80 (USD0.80 – USD1.30) per serving. The old uncle is still here, now helping out his son who’s the main man operating the newly opened shop, opposite of Rasa Sayang and Bak Gong Chicken Rice on Theatre Street. 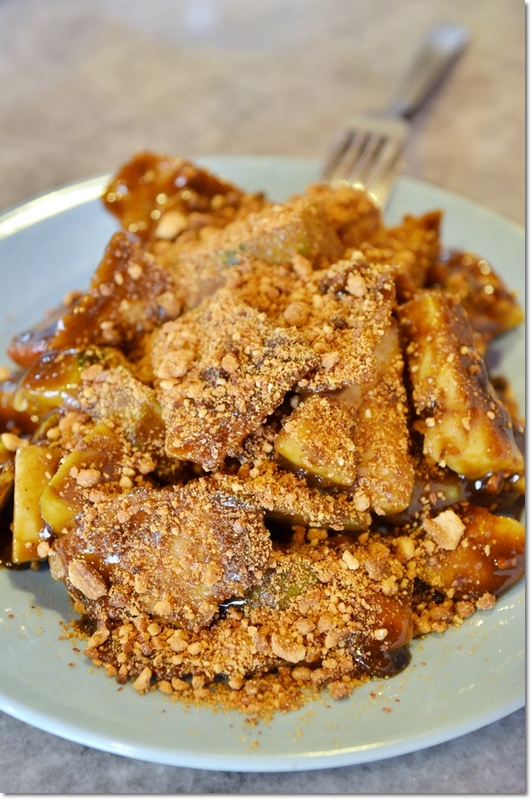 The rojak sauce is still tenaciously churned out by his loving mother who works at home now. Despite my interest in ‘rojak’ (a type of Malaysian salad with fruits, vegetables and crackers with a sweet-spicy sauce redolent with a pungent ingredient named shrimp paste, and lots of crushed peanuts), this futile attempt in seeking a good one in Ipoh had left a bitter taste in the mouth. Wah Nam (the old version) on Cowan Street used to house a stall that serves a pretty good one, but they moved to Ipoh Garden Curry Mee on Jalan Pasir Puteh and then vanished into thin air. Or maybe I did not manage to follow through. But this one at Tai Wo Yuan won my heart again. Not sure if it’s the sauce, the lack of extremely sour ingredients (I for one, absolutely detest the unripe mangoes/”tarng jai”? ), or the always pleasant addition of good prawn crackers and lots of juicy ‘jambu’ (rose apple). 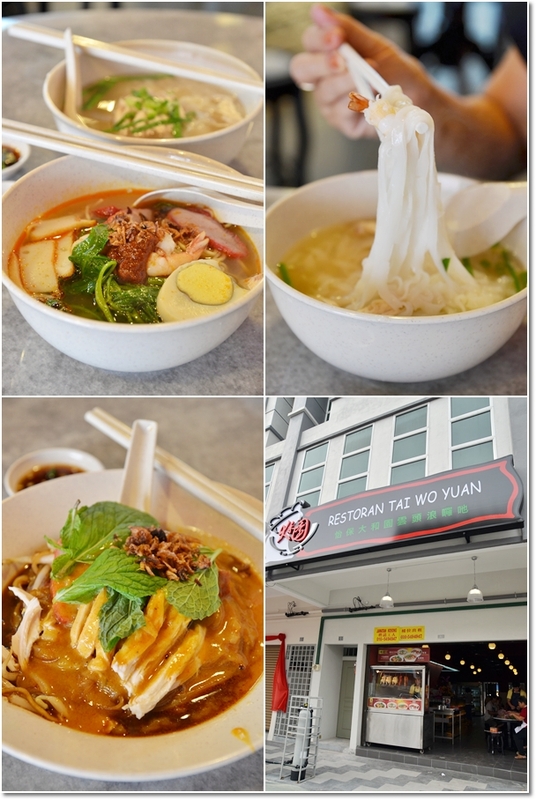 Curry Mee, Prawn Mee and Chicken Kuey Teow Soup from Hoong Kee @ Tai Wo Yuan; something to fill the stomach aside from Rojak only. Best thing to complete the “rojak” experience? 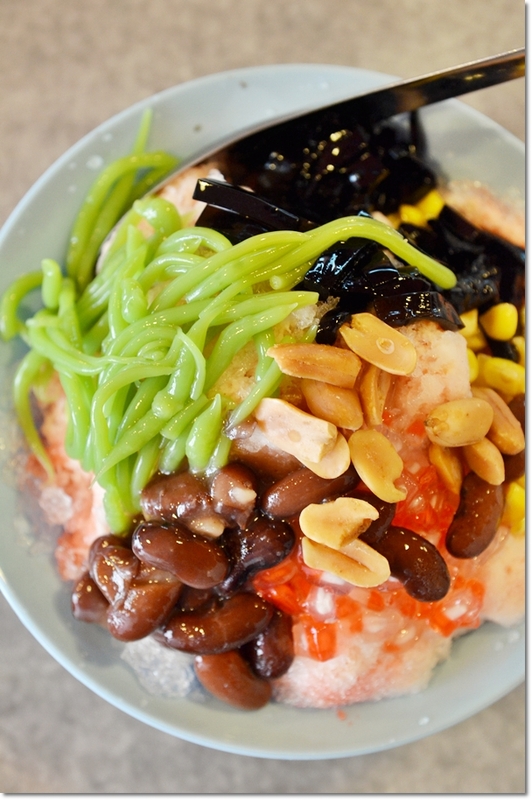 An icy cold bowl of “Wan Tau Long” with a squeeze of lime, or one hearty ensemble of “ais kacang”. Comparing the former to the one at Tong Sui Kai, I still prefer Tai Wo Yuan’s version that had a bit more bite (QQ), and less ice than jelly per portion. Always a welcoming thought to have ‘sek lau zhi’ with any desserts, I did not pass on the chance. At RM3.30 per bowl now, gone were the days when this used to cost less than RM2 at the old spot. (More than a decade ago though). Indeed, this turned out to be more of a sentimental post than an actual review. But tell me, who hasn’t got that twitch of nostalgia after revisiting a place that you have not visited in over a decade, and houses a plethora of memories from your secondary school days? 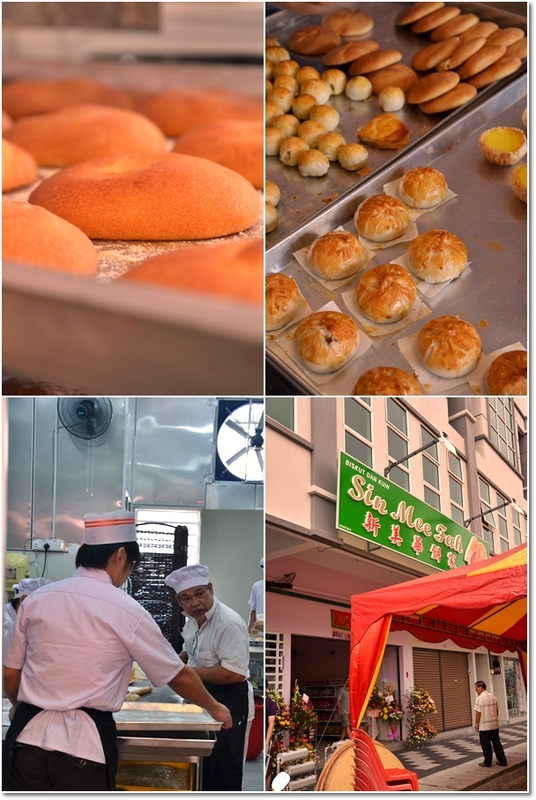 A hop and a skip away, this new bakery named Sin Mee Fah opened its doors to business. The “Kong Sou Peng” (lazy to translate, but it’s a soft, chewy biscuit/bread like confection that’s a favourite of mine), egg tarts and siew pau were rather good. Now, lying within this vicinity of already jam-packed with tourist hotspots (Lou Wong and Onn Kee Ayam Tauge, Funny Mountain Soya Bean, Sin Eng Heong kaya puffs, Aun Kheng Lim salted chicken, Xin Quan Fang’s curry mee, Hugh Low street Hakke Mee @ Paris, Ching Han Guan, Purple Cane Tea House, Lok Wee Koi’s Hor Hee, Comeson wantan mee, Rasa Sayang/Bak Gong chicken rice, Yee Thye biscuits, etc!!!! ), you can add Tai Wo Yuan’s “wan tau long” into that already incredibly long list. If you’re dying of hunger and think that Ipoh’s only about “Nga Choy Gai” (bean sprouts chicken), then my effort for this past 4 years have gone down the drain ……. Take your time and plan. I’m sure you WILL find something you’d keep coming back for in Ipoh; aside from the usual favourites/tourist haunts. Opens from 10am until 6pm daily. Days off not fixed. Opposite of Eastern Wine, Quinpharm pharmacy, Rasa Sayang chicken rice and Bak Gong chicken rice. Same row, a few shops away from Tai Wo Yuan. oo the new shops open already? 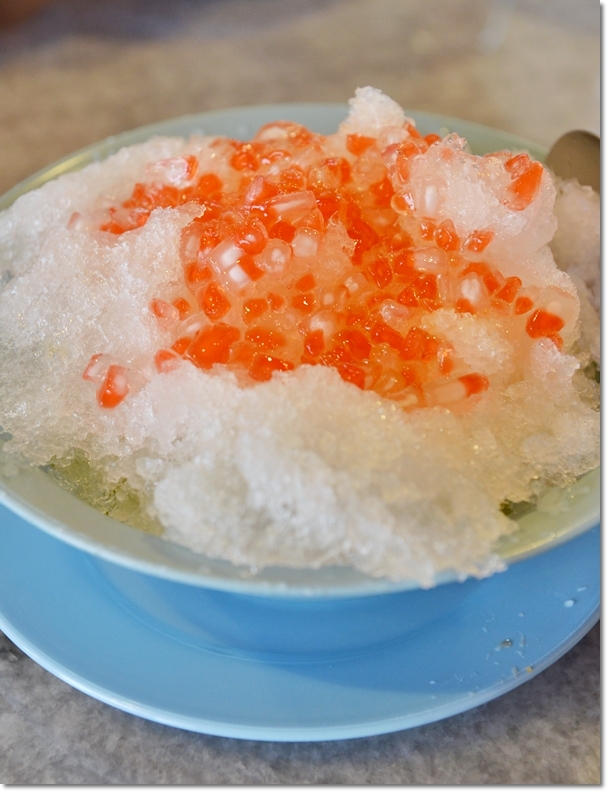 hmm something to try when i am back to ipoh for ching ming..
i prefer the man tao long with santan n brown sugar .. Yes! Yes! Bring back old memory! 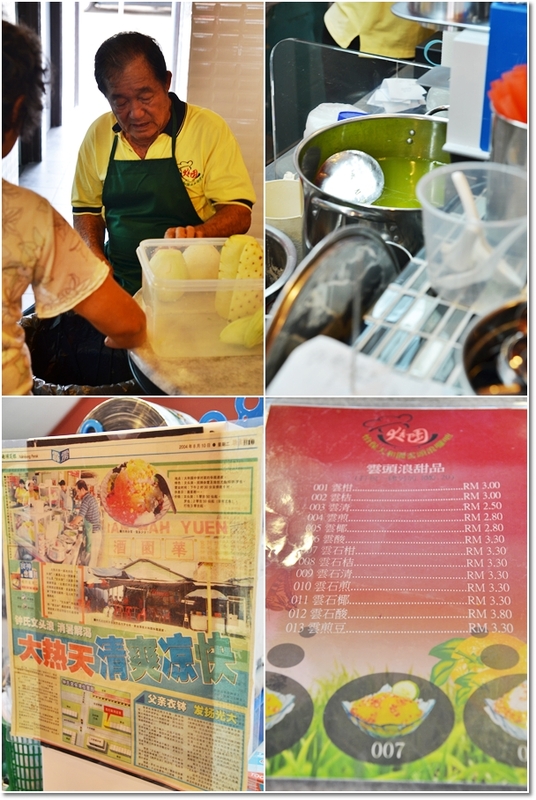 I stayed in Jalan Chung Ah Ming(the road behind the shop) for years and had this Wan Tau Long countless time! 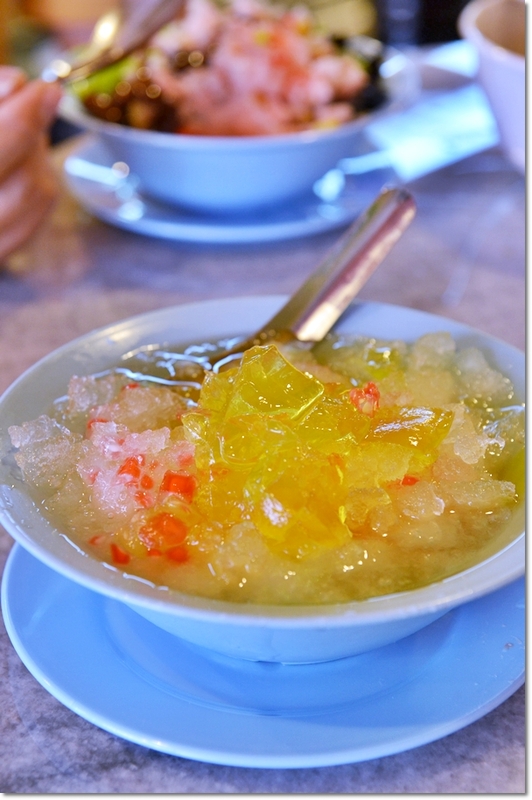 Wan Tau Long – perfect for a very hot summer. Really brings back happy memories of my secondary days! Thanks for sharing this!!! Hi Karen, yeah I know. You’re most welcomed. I was ecstatic as well when discovering this place. Where is the Sin Mee Wah Biscuit Shop ? Its located opposite to Rasa Sayang Chicken Rice. I like their egg tart and custard “kong so bang”. Their egg tarts usually hot. Hi ryan, sad to say, I was informed that they have since closed. But I have not been back there yet. This shop is closed and replaced by some noodle shop.just went today and found out.hope this helps!